Chris’ areas of expertise are technical due diligence (TDD), vendor and pre-acquisition surveys of commercial property, and development and fund monitoring. He spent 11 years in London prior to moving to the Birmingham office in 2015. He was previously an author for the RICS Building Surveying Journal and is currently an active iSurv contributor specialising in TDD vendor/disposal surveys. He has presented various lectures on common defects with commercial buildings and written articles on topics such as vendor TDD, readiness for sale, concrete floor types and their pitfalls, and the use of lime mortar in historic commercial buildings. 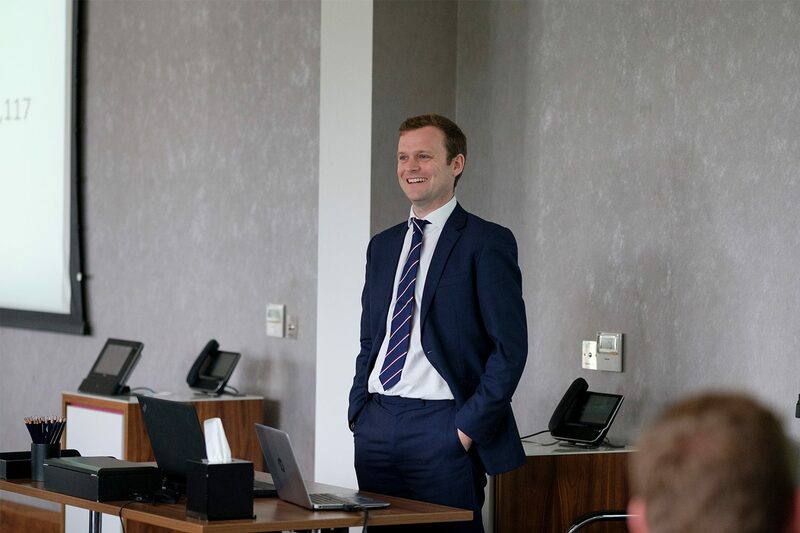 Chris led the technical team on the sale of 122 Leadenhall Street (the ‘Cheesegrater’ building) and 5 Broadgate, both notable large buildings in the City of London. Chris maintains working relationships with L&G, Aviva, British Land, Oxford Properties and Royal London Asset Management. Delivering TDD on the Cheesegrater was a career highlight; but I also monitored the construction of the first hydro-electric turbine to be installed in a UK city centre, which was fascinating. I’m very inquisitive, so looking at buildings and delving into their history is quite rewarding. I consider myself to be a good communicator, so I find it easy to understand what people want, as well as advise them about their commercial property needs. Outside of the office, I have a busy family life, with three young daughters. I live in rural Warwickshire, so I spend a lot of time outdoors either exercising or enjoying the stunning scenery. I help a family member with beekeeping and my wife and I grow fruit for fun – we have several varieties of apples, pears and a quince tree, plus a towering cherry tree that is thought to be about 80 years old. I also have an original Mini Cooper, which I’m gradually restoring, although the rate of progress is slow because I have plenty of other appealing distractions!